Renault India is currently riding high on the success of its SUV model, Duster in the automobile market. Now, it has introduced the Renault Duster 2nd Anniversary Edition in the car bazaar with a few additional aspects. This new variant comes with a brand new Amazon Green exterior color that further adds to its sporty appeal. Also, it comes with a bold front armor along with stylishly designed smoked headlamps. This variant comes with Sporty Neon interiors, which gives a swanky new look to the cabin. Powering this variant is the same 1.5-litre dCi diesel engine that is capable of producing 83.8bhp in combination with a peak torque output of 200Nm. As far as the features are concerned, it has all the standard aspects like central locking, front power windows, a manual AC unit and a digital clock. This SUV comes with a total length of 4315mm along with a decent width of 1822mm. Its total height is 1695mm (including roof rails), while the ground clearance is 205mm. It has a large wheelbase of 2673mm, which is quite good. This vehicle is available with a standard warranty of 2-years or 50,000 kilometers (whichever comes first). Apart from this, it now comes with additional 2-years warranty along with free road side assistance for four years that adds to the customer's delight. This vehicle will now compete with the likes of Mahindra Scorpio, Tata Safari Storme and Nissan Terrano in the lucrative SUV segment. This latest variant has an intimidating exterior appearance owing to its bold cosmetics. It comes fitted with a smoked headlight cluster that is powered by a pair of halogen headlamps along with turn indicators. It surrounds a wide radiator grille that is affixed with chrome plated company's badge. The front bumper is in dual color look, thanks to the black colored protective cladding fitted to it. Furthermore, it is also equipped with a bold armor including a pair of fog lamps, which further emphasizes its rugged appeal. Its side profile has a bold structure with well curved wheel arches and neatly designed window sills. It is fitted with a set of conventional 16-inch steel wheels full wheel covers. These rims are now covered with wide radial tyres of size 215/65 R16. The door handles are in body color, while the outside wing mirrors are in black. Its rear profile has a lustrous body structure where it is fitted with elegantly crafted taillight cluster. It is further equipped with powerful brake lights along with turn indicators and courtesy lamps. The rear bumper is in body color and is equipped with a protective cladding along with a pair of reflectors as well. Apart from all these, this latest trim comes with a brand new Amazon Green exterior paint option. This Renault Duster 2nd Anniversary Edition comes with Neon interiors that renders a swanky look to the cabin. It comes with a dual tone color scheme, which is further complimented by green inserts, especially on seats and on door panels. The dashboard is quite trendy and is equipped with a storage box, stylish central console and an instrument panel. The central console houses a proficient AC unit and numerous utility aspects like mobile charging facility, cup holders and a storage compartment. The front seats are ergonomically designed that are integrated with head restraints and have been covered with fabric seat upholstery. The rear seats have folding facility, which contributes towards increasing the luggage space. The steering wheel has three spokes and is further decorated with company's insignia on it. This new trim is powered by a 1.5-litre dCi diesel motor that comes with a common rail fuel injection system. It is based on a DOHC valve configuration with four cylinders and sixteen valves that displaces 1461cc. This power plant has the ability to produce a maximum power of about 83.8bhp at 3750rpm that results in a superior torque output of about 200Nm at just 1900rpm. It is mated with a five speed manual transmission gearbox that releases the torque output to the front wheels. This vehicle is capable of producing a maximum mileage of 20.45 Kmpl (as certified by ARAI), which is rather decent for this segment. This vehicle comes with a proficient braking mechanism with disc brakes fitted to its front wheels and drum brakes equipped to the rear ones. As far as the suspension system is concerned, its front axle is paired with independent McPherson strut, while the rear axle has a torsion beam system. Both these axles are further loaded with coil springs and anti-roll bars that further augments this mechanism. On the other hand, it comes integrated with a hydraulic power assisted steering system that supports a minimum turning radius of 5.2-meters. 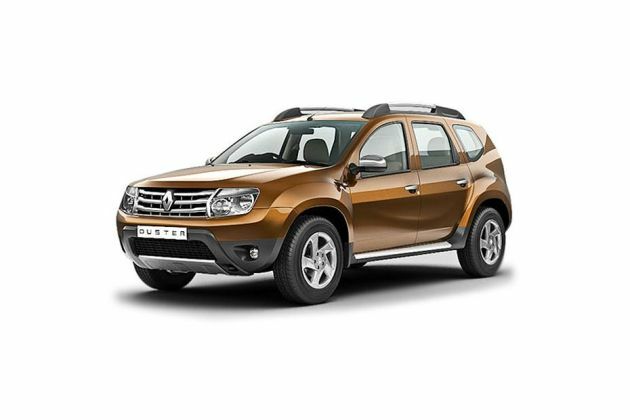 This Renault Duster 2nd Anniversary Edition trim is equipped with basic set of comfort features that provides fatigue-free traveling experience. It comes loaded with a heating, ventilation and AC unit including pollen filter that keeps the ambiance pleasant. The list of other features include key less entry, front power windows with illuminated switches, tilt adjustable power steering and a foldable rear seat backrest. It is also equipped with rear seat center armrest including two cup holders, 12V accessory power sockets, headlight alarm, front seat back pockets, two cup holders in front central console, versatile rear parcel shelf with storage space, passenger vanity mirror, front map lamp and a digital clock as well. This new variant has been bestowed with standard safety features like engine protective under-body guard, door opening warning lamp, central locking, dual horn and high intensity headlamps. It is also equipped with an advanced engine immobilization device that rejects any duplicate instantaneously and safeguards the vehicle from unauthorized access. This vehicle is built with high strength steel body construction including crumple zones and impact protection beams, which provides maximized safety to the passengers inside. 1. Captivating exterior appearance is a plus point. 2. Engine performance and fuel economy is impressive. 1. There are no additional safety or comfort features. 2. Price range is slightly expensive.